OCCC work furlough inmate Bryce Takara fails to return after work. Sheriffs and HPD notified. If seen, call 911 or Sheriffs 586-1352. 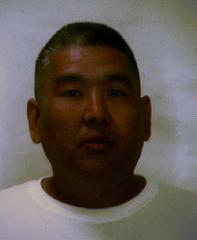 Oahu Community Correctional Center (OCCC) work furlough inmate Bryce Takara failed to return to Module 20 after work. He was supposed to return by 7:30 p.m. Sheriffs and Honolulu Police were notified. Takara is 42-years old. He is 5’8” tall and weighs 206 lbs. He has brown hair and brown eyes. Takara is serving time for Burglary 1 and Kidnapping. His next parole hearing is scheduled for April of this year. He now faces an additional escape charge when found. Takara is a community custody inmate in the work furlough program with pass privileges. Community custody is the lowest classification status.